In today’s competitive job market you need to have the right qualifications employers are looking for to set yourself apart from the herd, or for example if you want to work for yourself, you’ll need to show any potential customers that you have the right skills to do the job properly; to do this you will need qualifications and to get these qualifications you need training. Why train as a plasterer? There a lots of reasons why you should consider training as a plasterer, one reason is as with most construction trades in the UK there is a shortage of trained plasters, so your newly acquired skill will be in high demand, and with the high demand comes an attractive wage packet. Another reason is that once you have been fully trained and got your qualification you’ve gained a new skill that will stay with you for life, you can’t be sacked from being a plasterer! You just are one, simple as that. Thirdly once fully qualified you’ve got options available to you, you may become employed by a building firm and get a regular salary. Or set up on your own and work for yourself with the freedom to set your own working hours to suit you and your family’s needs. The choice is yours to make. So, how do you become a plasterer? On these courses you will be trained by fully experienced plasters that will teach you everything you need to now to enter the work place as a fully qualified plaster. In the training centres you will learn the practical skills you need in mock up rooms where you will plaster walls and ceilings as if in a real life work situation. These help you learn and gain the confidence you need to put the skills into practice. Yes these training courses are not what you would call cheap, ranging from many hundreds of pounds, but you should consider the benefits that the training will give you and think of the cost as an investment in your own future. Perhaps the most important thing is to make sure the training centre you choose is City & Guilds accredited that way you can be sure you’ll be getting trained to the correct standards to be a fully qualified plasterer. Once you have completed the city and guilds plastering course you would have learned all the skills you will need to start work as a plaster and you will be giving a City & Guilds technical certificate for plastering. 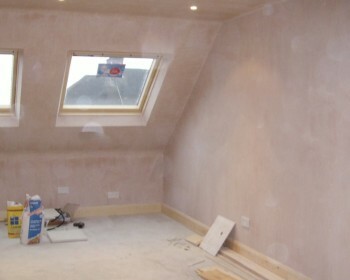 But once you have got this far you may then want to gain an NVQ in plastering which shows you are a fully qualified plaster, the C&G course will have trained you everything you need to achieve this. I hope this article helps you in your need career. Good luck!